A substance derived from the pharyngeal glands of the honey bee, this “super food” of the bees is specially blended with enzymes and fed to each bee destined to become a queen. It is the exclusive food of the queen bee throughout her highly productive life, enabling her to lay up to 3,000 eggs per day during her six-year lifespan. Worker bees eating ordinary honey has a lifespan of only four to six weeks. For us, Royal Jelly is found to have many beneficial properties that can help support the immune system, increase energy, and improve the over-all health of our skin and hair. Forever Royal Jelly, a product of Forever Nutraceutical is gathered from dry, remote, high desert regions where pristine conditions provide the ideal environment for the production of the most effective Royal Jelly supplement ever produced in the market for more than three decades. Forever Royal Jelly boosts energy, supports the immune system, enhances metabolism, eliminates fatigue, has great benefits for the skin and anti-aging effects. It contains protein, minerals, vitamin A, vitamin C,vitamin D, vitamin E and vitamin B-complex, all 8 essential amino acids and 10 secondary amino acids. A great boost when fighting stress. Studies have found that royal jelly has the ability to lower total serum cholesterol levels in people with moderately elevated cholesterol levels. It is believed to have anti-aging properties, improving collagen production in skin and overall youthfulness. It has been shown to have anti-inflammatory properties when ingested and when applied topically. Royal jelly contains an antibiotic called 10-Hydroxy-Dgr2-decenoic acid that is effective against many bacteria. Royal jelly is believed to aid in fertility by improving the quality of a woman’s eggs and promoting overall youthfulness of her reproductive organs and body. For both men and women, Royal Jelly acts as a natural aphrodesiac. Many women find that royal jelly relieves many of the symptoms of PMS. Probably one of the best anti-stress substance on the planet today as it is proven to provide users with energy and vitality to combat stress and depression. 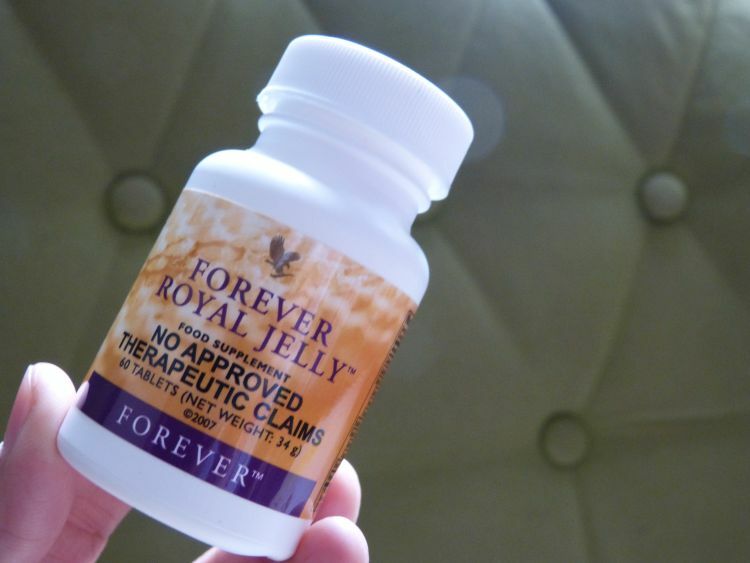 Many people have already got into the Forever Royal Jelly 30-Day Challenge! 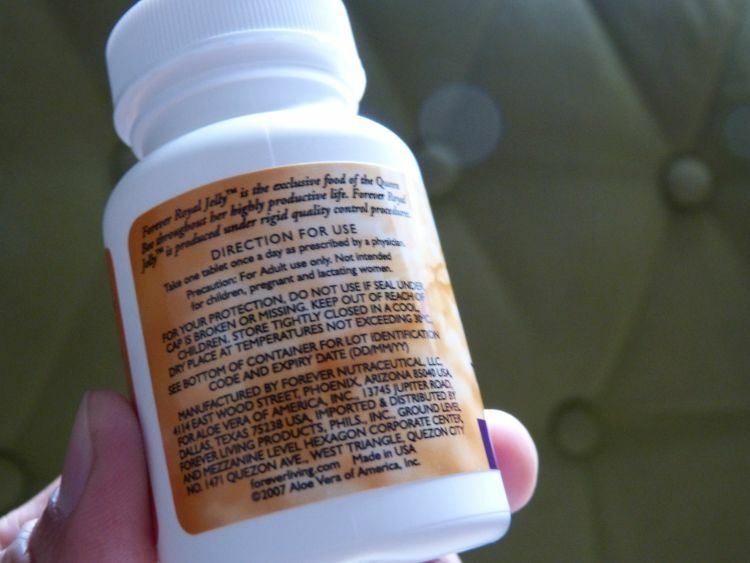 Take a selfie before using one bottle (2 tablets daily) – take another selfie after 30 days and compare!